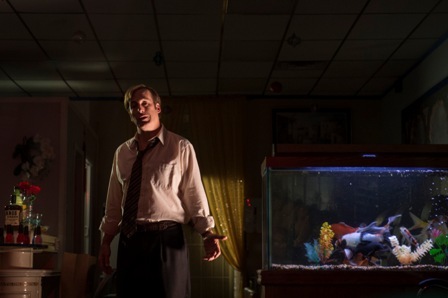 I loved this week’s episode of Better Call Saul. A couple of weeks I ago I worried that the show might not be doing enough to endear Jimmy McGill (Bob Odenkirk) to viewers, but I needn’t have been so concerned. This week showed that there’s a lot more to Jimmy than meets the eye and certainly a lot more than we knew of him on Breaking Bad. For the first time I truly felt sorry for Jimmy. Maybe he doesn’t make all the right choices, but that doesn’t mean he deserved to be disrespected so greatly by his brother Chuck (Michael McKean). What I loved about the entire situation between Jimmy and his brother is that it was not black and white. All this time Chuck has been resentful of his brother, but it was not entirely without reason. Jimmy was a screw-up who depended on his brother to bail him out and then expected to be automatically hired at the same law firm Chuck had worked so hard to gain prestige at. So I don’t totally blame Chuck for not wanting his brother to just step in without paying his dues so to speak. However, he was wrong in the way he dealt with his resentment. Going behind Jimmy’s back for his own gain is a despicable way to handle things. Deliberately holding him back instead of being honest was an act of revenge rather than an effort to spare Jimmy’s feelings. Chuck will not give any credit to Jimmy trying to improve his life. It’s a sad, but very relatable, aspect that truly deepens the dynamic of that relationship and the character of Jimmy. I can speculate that Jimmy is going to start to feel as though trying to improve his life is a lost cause in terms of gaining respect, so he’s going to go in the direction that we see him in Breaking Bad. I also loved everything concerning Mike (Jonathan Banks) in this episode. Mike and Jimmy did not interact with each other, but we got a glimpse of the Mike we know from Breaking Bad. In fact, the “average Joe who gets involved with drug dealers” aspect felt like a precursor to Breaking Bad. It was hard not to love Mike taking out the rest of the security detail so he could handle the job on his own. On a side note, I learned what a pimento sandwich is – and I also learned that I will probably never eat one (but that’s just me). I sincerely hope Better Call Saul has gained enough of a following to bring it back for a second season. It would be a shame if all of this potential is wasted due to premature cancellation. There’s a lot going on here and I’m hoping to see what happens next. 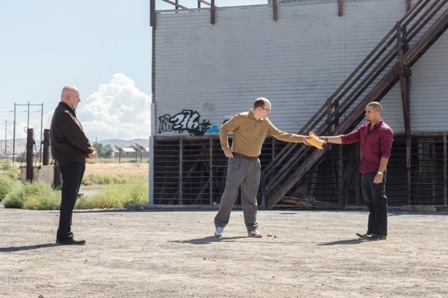 The season finale of Better Call Saul airs Monday, April 6 on AMC.